It’s campaign season in Germany, but this time the talk isn’t just about candidates and platforms. Top politicians are sounding the alarm over social media bots and fake news. It has become a familiar dynamic: AWD News, a website knowing for disseminating fabricated “news,” quoted Marine Le Pen of France’s right-wing Front National allegedly comparing President François Hollande to Adolf Hitler. Le Pen’s comparison quickly went viral and drew considerable condemnation. A fact-checker at the French daily Le Monde, however, debunked the quote – after all, in democracies, the principle of distinguishing between fact and fake applies to everyone, including political opponents. Le Pen, it turned out, had never made the comparison. It is a small yet significant example of how public opinion in both the US and Europe is being roiled online. And it is not just extremist fringe groups that are to blame. Politicians and mainstream media have long neglected to address the rise of fake news and conspiracy theories that flourished after the 9/11 terrorist attacks. The Brexit referendum and the election of Donald Trump as the 45th US president have thrust this issue squarely into the spotlight. 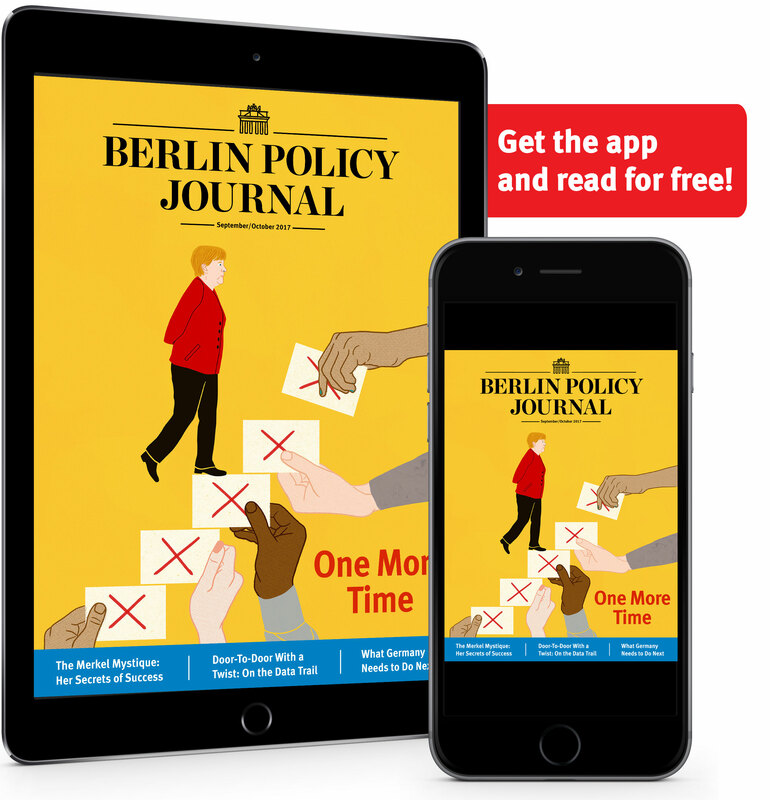 German parties are only now realizing just how powerful modern digital tools can be in influencing public opinion and destabilizing democracy. After the US elections, it was Chancellor Angela Merkel herself who drew attention to the problem of so-called social media bots – automated software active on platforms like Facebook and Twitter that resembles real users. Merkel was so concerned that she suggested a code of conduct for German parties in this year’s election. For German lawmakers, the way the US election campaigns were conducted came as a sobering realization. Both Trump’s campaign and, to a lesser extent, Clinton’s employed social bots to artificially pad likes on Facebook, create the illusion of widespread support, or frighten and silence moderate politicians with relentless abuse and harassment online. “Bots contribute to a radicalized tone in debates, overwhelming more measured voices,” warned Peter Tauber, chairman of Merkel’s conservative CDU party. Now barely a week passes without new information emerging, especially from the US, on how hacks, leaks, and fake news can affect an open, democratic political system. Until recently, German politicians only knew trolls: users who sow discord online, inciting hate and abuse and harassing others, either for money or out of conviction. Now, Germany is waking up to the various other ways that opinion can be manipulated, for example by fabricated news stories targeting certain social networks or accounts. Echo chambers prevent people from being confronted with opinions different to their own. And digital tools morph so quickly that even experts are finding it difficult to identify and assess the impact. When Merkel in 2013 called the Internet “unchartered territory,” she was ridiculed. Nobody is laughing now. The right-wing populist Alternative für Deutschland, or AfD, has created its own team of bloggers and wants to found its own television network as well, just as Austria’s far-right Freedom Party did. The AfD justifies the need for these tools with the argument that mainstream media is controlled by the establishment, including the governing parties. Merkel has warned that biased media only reinforce echo chambers and give fringe groups and their supporters the illusion that they are many, while in reality they are a minority. The anti-Islam Pegida movement’s slogan, “We are the people,” is a classic example. Experts have highlighted various tools that are increasingly able to influence ever smaller, customized voter groups. In the US, authorities essentially have free rein to gather metadata on individual voters and their opinions. The Trump campaign took profiling to the next level, creating starkly different, even contradictory, political ads to target voters in Pennsylvania versus Florida. These ads specifically addressed the emotions and desires of the individual recipients and voter groups. Trump’s data team, Cambridge Analytica (CA), was behind that approach. The company describes its work as using “big data and advanced psychographics to grow audiences, identify key influencers, and move people to action.” Essentially, it targets individual voters based on psychological profiles. An in-depth report on CA by the Swiss news site Das Magazin quickly went viral in the German public and among decision makers. CA had worked with the pro-Brexit campaign as well, gathering massive stores of data on voters and analyzing them to create psychological dossiers. They mined users’ clicks and likes, their purchase histories, their medical information, their smartphone usage and even information on where they live. All that data helped CA understand voters’ beliefs and desires down to the individual. Now there are fears that parties in Europe will buy up metadata on their own citizens and resort to the same measures. France’s populist Front National has reportedly already contacted the company. At the same time, the combination of globalization and digitalization has provided external actors with new tools to interfere in national elections. In the US, 17 security agencies concluded that Russia hacked the presidential election in favor of Donald Trump. According to The Washington Post, after months of vehemently denying any involvement, the Kremlin actually deferred to the president-elect on the CIA’s assessment. 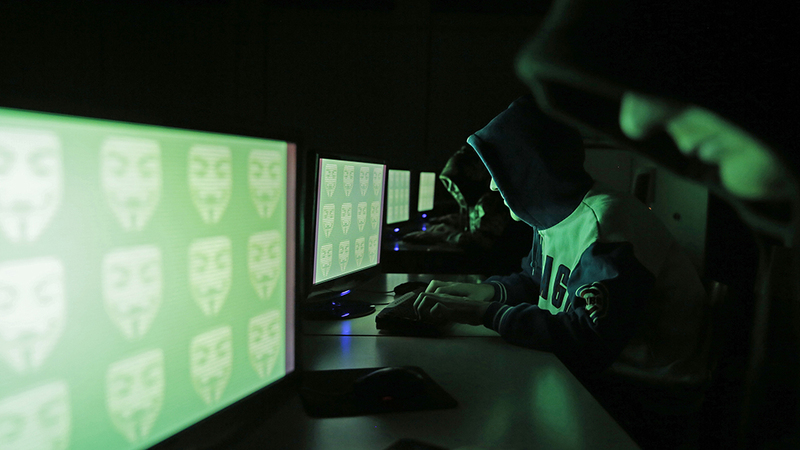 Germany’s security forces are now arming themselves to fight cyberattacks. The government is trying to sharpen legislation on hate speech online and is putting Facebook under increasing pressure to take down blatantly racist, inflammatory, and inappropriate posts the same way traditional media is obliged to do. Social Democrat legislator Lars Klingbeil has proposed a mutual “no-attack” agreement for parties involved in the election campaign, and another parliamentarian, Thomas Jarzombek (CDU), is calling for a press law to hold social media in check – especially as sites like Facebook and Twitter have become primary news sources for many users. All of Germany’s established parties have agreed not to utilize social media bots in the upcoming campaign. The question remains whether the AfD will go along with the pact. The party originally said it would make bots part of its strategy, but later distanced itself from that statement. These self-regulatory initiatives may help, but the problem is far from solved – third party actors can swoop in and create social media bots in lawmakers’ names without their knowledge, discrediting them. Still, there are key differences with the US and the UK, where societies are far more polarized and data privacy does not carry the same weight it does in Germany. 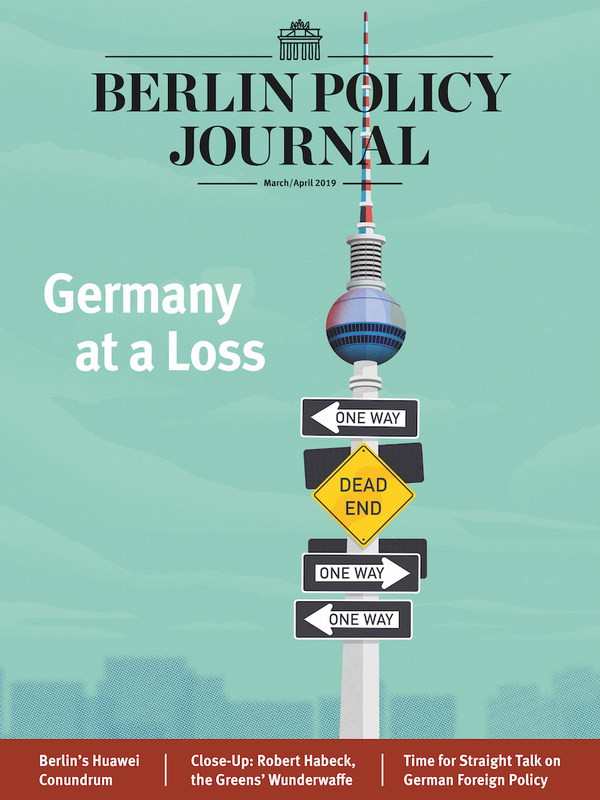 As Berlin is building up its technical infrastructure in preparation, experts and lawmakers believe education and clarification will be the most effective tools in combating all forms of interference – and they have to be utilized as early as possible. Children, too, have to learn that Facebook and Twitter do not provide objective perspectives on reality, and that algorithms generate bubbles that only reaffirm their own beliefs. is Reuters’ Chief Political Correspondent in Berlin.